Kauai Air Conditioning & Refrigeration, Inc.
Work Opportunity Tax Credit (WOTC) – Online filing now available! Aloha and welcome to the Workforce Development Division (WDD) Homepage! Free job referral and search assistance for both job seekers and employers. Develop and maintain partnerships with private and public sector stakeholders to meet various emerging trends, advancements in technology and other issues facing our economy. Collaborate with educators, employers, and labor unions to identify basic skills of all workforce entrants. Provide consultative and support services to both employers and laid-off workers in times of financial trouble. Whether you are a job seeker or an employer, we hope that you will take the time to learn about our services and allow us to help you soon. 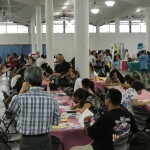 Learn about the most recent job fairs in Hawaii. 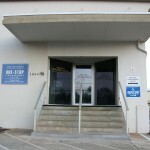 Visit one of our local WDD offices to help serve your needs!